Released in 1997, Power Plant became an instant success. A heavy yielding and highly stable classic. 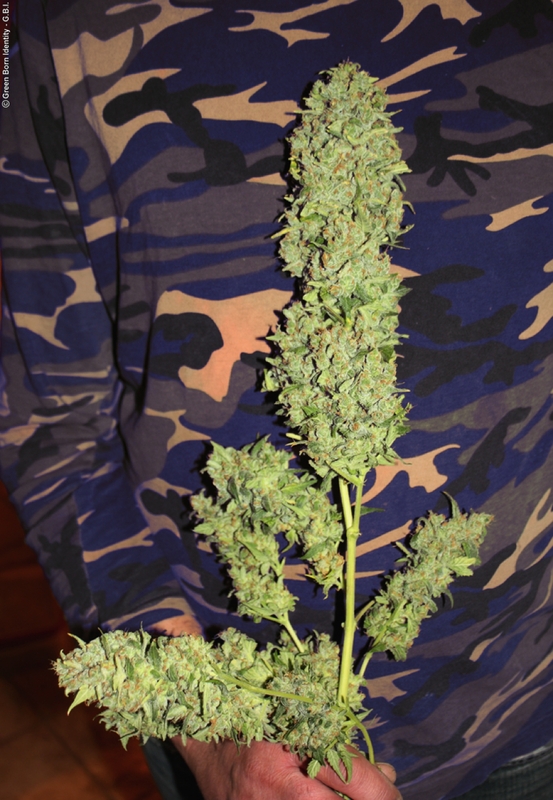 Power Plant is a mostly sativa variety from South Africa, the original version is only available from Dutch Passion. It is a heavy yielder for indoor, greenhouse and outdoor gardens (does well in Mediterranean climates) with bumper yields of 500-600 grams/m2. She is popular with recreational and medical users and remains a pure and stable strain with a well deserved reputation. When first released every coffeeshop wanted Power Plant on their menu and she is still found in Dutch coffeeshops today. Power Plant is rich in THC and delivers a formidable strong “up‟ high with a fresh flavour, smooth smoke and sweet aftertaste. Indoor bloom takes 8-10 weeks. The plants reach 1-1.5m tall and the buds are often 30+cm long, with small leaves in them. Sin go, 25th April. Yes, Power Plant does really well in a SCROG, she is a medium stretcher, but manageable in a smaller grow room. With a scrog you should find good results and plenty of bloom points. Good luck! How tall do these grow from your guys experience? Would it be suitable for a small space SCROG? I grew 2 femnized seeds under 150w HPS chopped them on 1.3.18 , drying and curing until 15.3.18 , best smoke I have ever had no doubt about it, just one thing to keep in mind when growing this strain is that it could go and keep growing til around 11 weeks its insane, you need to be extra patient with this one and you will be rewarded ! Pikiyo, 20th October, try 5 plants per m2. Let them grow naturally, no pruning. And good luck ! I don't like indica's these days - so I have been growing Power Plant on-and-off since 2009. It is the strongest weed I have grown, and waaay stronger than the weed you can buy around here these days. In the old days you could buy good sativa marijuana locally but nowadays you can't, so I grow my own. Where I live there is no chance of being able to grow Power Plant outdoors, so I grow her indoors in coco-fibre. I use canna nutrients and find it a reliable and easy way to grow Power Plant. I always flower her for 9 weeks and the yields are really generous so I thank DP for that. But forget the yield, i think the quality of the grass is what makes Power Plant worth growing and what makes her a special one. Just grind a bit up for a small bong hit and you realise that this herb will last you a long time. Hi, just recently had the delight of smoking this delightful strain from Dutch Passion. Distinctive aroma upon inspection, and really nice taste when smoked. Good yield's and grinds up nicely for smoking. Dutch Passion Power Plant is the best sativa you can get. The yields are great, she is easy to clone and the smoke is massive. I have grown Power Plant ever since I tried it in a coffee shop in 2009. DP have kept this a stable breeding line and you can tell in the quality of the plants and bud. Well done Dutch boys !